Today I'm going to be opening up a blaster of last year's Upper Deck Series 2. I don't think that Series 2 from 14/15 is as strong as Series 1, but it should still be a fun break. 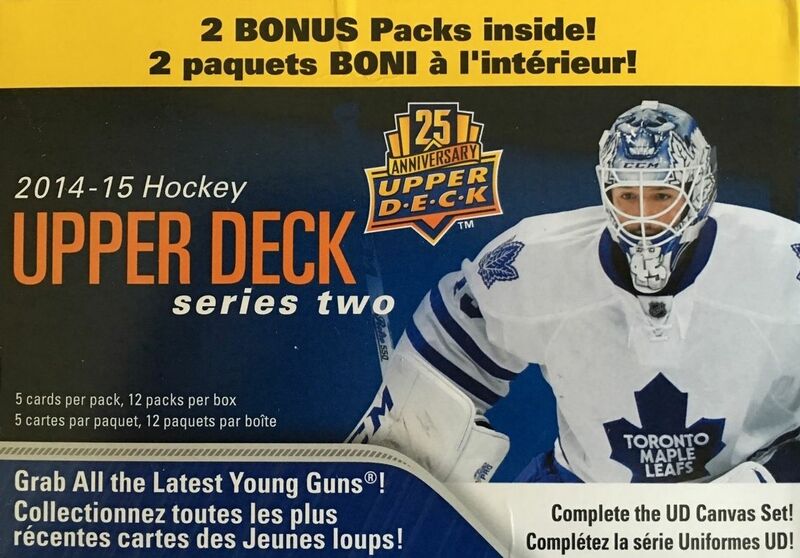 Upper Deck has recently done a good job of including things in Series 2 to make it more worthwhile as a product. I'm eager to see what I get in this retail box. Upper Deck Series One and Two are the ultimate in terms of a baseline set of cards. It's a set that all collectors can get into and enjoy. The quality is very good and many of the cards you find in the sets hold some good value. 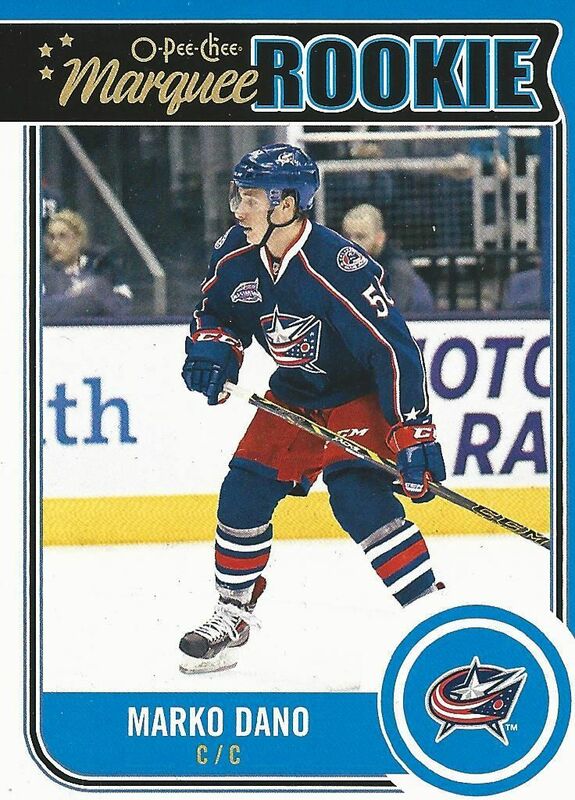 Series Two doesn't just finish up the standard Upper Deck set, but it also updates O-Pee-Chee as well. Having OPC cards available is a nice added value here as collectors can find the rookie cards that they missed when OPC originally came out. Often the best OPC rookie cards will be found here in Series Two. Overall this was a very interesting blaster - certainly not a typical one. In these blasters I expect to find two Young Guns rookie cards, a canvas card, and some OPC updates. This blaster did not come with those things. Here I just got one Young Gun with no canvas card and a a couple OPC rookie updates. That makes it sound like this blaster was a dud, but what I did end up getting was a nice jersey card hit! And it was of one of my favorite players to boot. That definitely covers up for anything I felt was missing from this blaster. Well, this type of card is familiar! I recently opened up a blaster of 14/15 OPC, so these Marquee Rookie cards are still fresh in my mind. This wasn't a great Young Gun hit, but a Young Gun is a Young Gun, I guess! And since this was my only Young Gun it gets the second in the top three. 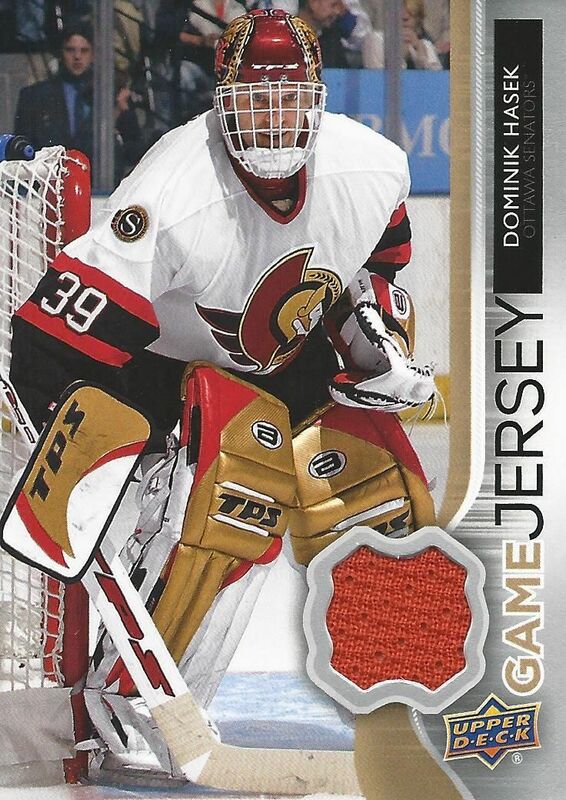 This was a great hit for me as I am a huge Hasek fan. I was very surprised to find this card in the blaster as getting even jersey cards like this are difficult. This was one of the last cards I got in my blaster so it didn't look like I was going to really do well with this box. So glad this came out when it did! I got a hit of a player that I really like, so of course this blaster was a success for me. The price of these blasters is half as much as they were originally priced at so in terms of value they are a solid buy. Upper Deck is a good and stable product that is fun to open at just about any time. Do I recommend getting a blaster of 14/15 UD Series 2? Sure! Pretty good break. Love the Hasek! Nice hit! Odd break, but still good. Tins have way better odds of hits, and you are guarranteed 3 young guns. I think tins are better but still a good break. Nice Hasek! Talk about luck. 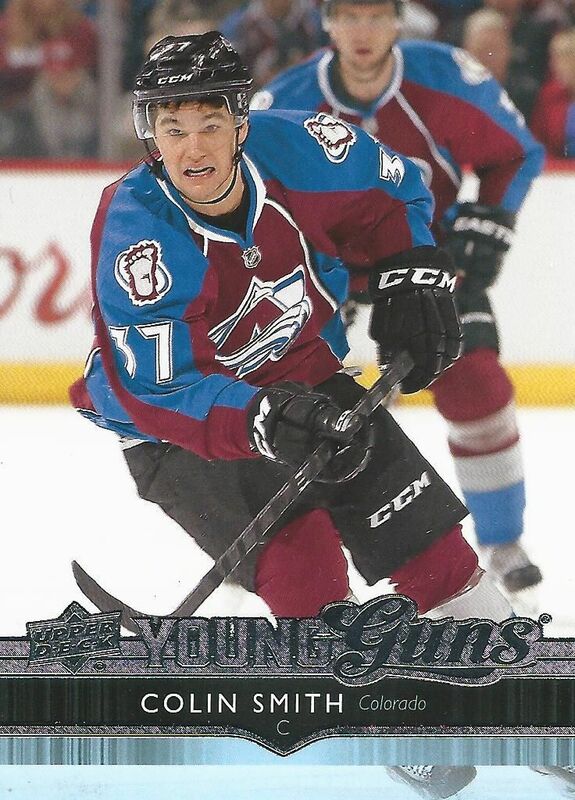 You can't go wrong with a $10 blaster, especially flagship Upper Deck that yields the Young Guns. Make certain to pick a remote headset that will be agreeable, in light of the fact that as any genuine gamer knows once they begin playing a computer game it is really difficult to stop.